We would like to thank our sponsors, though we don't have a major sponsor, those who have stepped up have made doing this trip a little easier. This initiative was designed to grow and be sustainable and in this manner cochlear implants can be guaranteed and every year more and more implants can be done. Deaf children will now have the potential of hearing for the first time. The knock-on effects in language development and independence are priceless and will effect countless lives. And for this, we and the recipients are truly grateful. 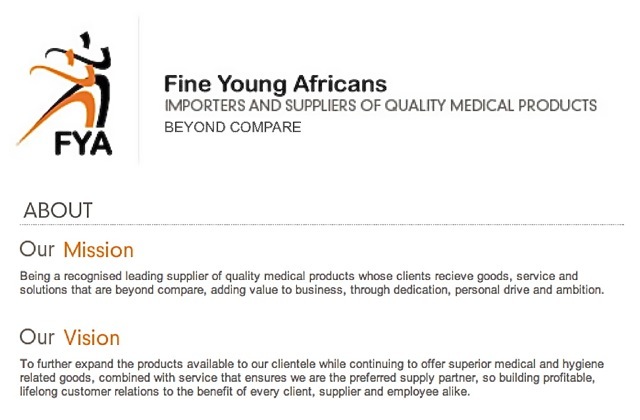 We would like to extend a warm welcome to Fine Young Africans, our first sponsors. They have kindly agreed to help support our worthy cause by sponsoring the whole Kilimanjaro hike. They are a dynamic, medical supply company based in Ruimsig, Gauteng and have just launched their own range of latex examination gloves called 'PRO-GLOVES'. Personalized service and tailor-made packages make this company a worthwhile addition as a medical supplier. What would an epic adventure be without badly taken camera shots, and inadvertant background swearing. For this we thank Africanskygear for their donation of a GoPro adventure camera. Sores and bruises will be a daily battle. Fortunately Nature Fresh have donated various herbal products to help alleviate the aches and pains and other maladies we are likely to encounter. Classmates offers personalized service and attention to detail. By doing the siyashova t-shirts at a discounted rate, we are able to maximize profits and hereby ensure more money for Hear Us and cochlear implants. A proudly South African company, Sports Buddy have provided us with insulated water bottles.